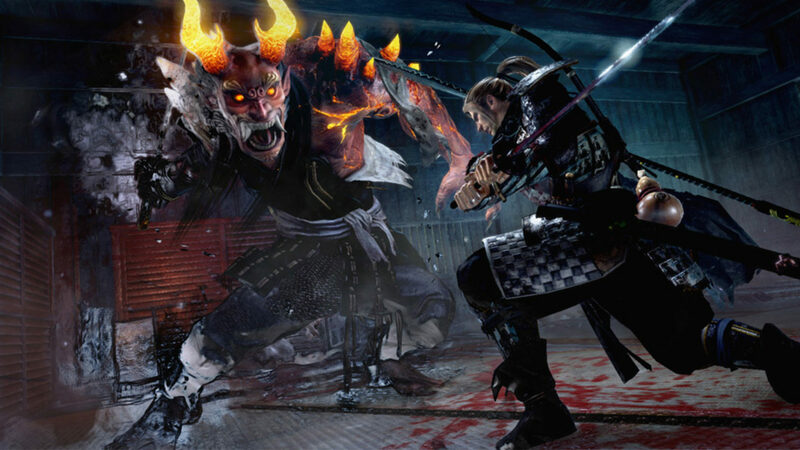 So I finally got a quick chance to play the the demo of Nioh, the new game coming from Team Ninja, the guys behind the Ninja Gaiden games and so I wanted to share some of my experience with you. I also managed to capture a bit of the opening minutes of the game for you to check out below. To just say a few words about it, it’s no joke to call this Ninja Gaiden mixed with Dark Souls, because that’s exactly what it feels like, although there’s more to it than just that. While the theme and movement feels really familiar to me from a Ninja Gaiden angle, a TON of this is ripped straight out of Dark Souls. We are talking really tough enemies rather than mobs, the souls/echoes collection system whereby you lose them if you die, the ability to see where real life players died and even the ability to summon a partner in to help you. It’s Dark Souls, but its Ninja Gaidenish… and despite the shameless rip I really, really like it. It’s not all the same though, back to the dead players on the ground, what’s really cool here is that you are actually able to activate them and fight a ghost AI version of that player to get their “souls” (the name of this one’s version escapes me right now) and even some loots/equipment. The game is tough as nails though, make no mistake, I’ve barely gotten very far in the level in my time because your character seems to be able, even with some armour and a level up, take only 1-2 hits at first before biting the farm. There’s also a very interesting looking stance system that I haven’t quite wrapped my head around yet, and it also looks as though you will be able to have a companion of sorts, so I really like where this is going. 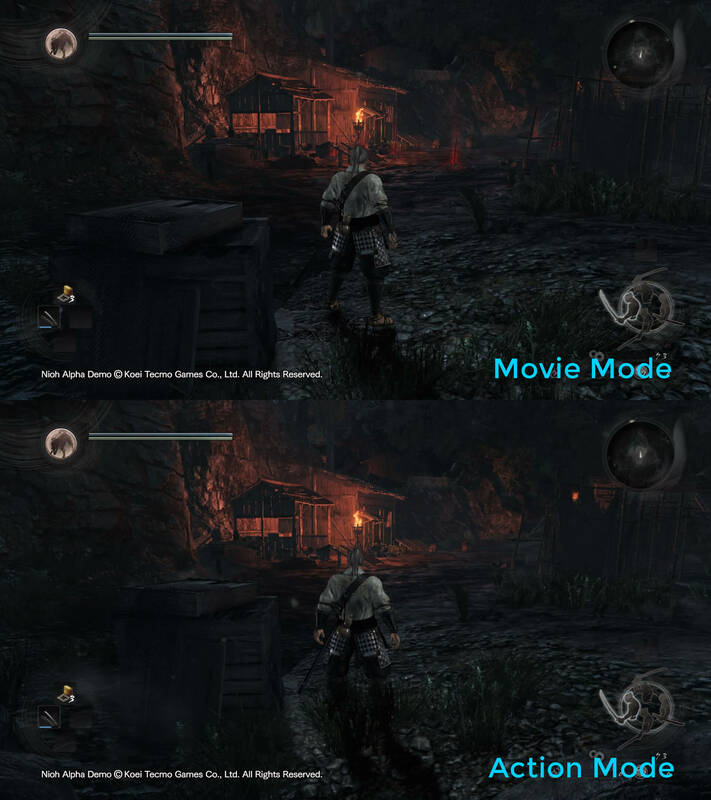 If you didn’t know already, the game also has two swappable visual modes (something we thought could happen nearly two years ago that seems to be actually happening) whereby you are given the option to either play the game in super pretty high-resolution mode at 30fps, which looks great and plays as well as something like Bloodborne (which also runs at 30) or you can opt for an “action mode” instead, where the resolution drops to what looks like maybe 720p but the framerate then flies up to a silky smooth 60fps. Its tough to decide which one to stick with, it looks so pretty (far prettier than Dark Souls at a glance), but once you get a taste of that sweet 60fps action I think it’s going to be tough to go back, especially in a game that’s focused more around gameplay than it is around set pieces and cutscenes. As a fan of both Ninja Gaiden and the From Software games, this game has my attention all the way. I’m super excited to see how it pans out and I only hope that it isn’t designed to be brutally difficult just for the sake of it, as Dark Souls proves that its all about a very smart balance. Anyways, I’m sorry I couldn’t do any voiceover or anything, I’ll try and up my game in future and do something a little more solid, but for now, here’s me checking out the first 12-13 minutes of Nioh!